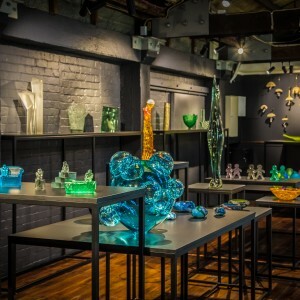 New Zealand Glassworks - Te Whare Tūhua o Te Ao (NZG) is the national centre for glass art located in Whanganui. NZG is an exciting and interactive glass facility open to the entire community. The facility offers an open access studio to glass artists, runs workshops to all abilities and presents and promotes the work of leading New Zealand glass artists in the gallery. The centre is a major attraction for local visitors and tourists alike and a great place to see first-hand, the incredible processes of glass art. Come visit us soon!